Upon a recent body treatment, I was diagnosed with a very toxic body. That's the reason I always have constipation issue, gained weight and dull skin. Detoxification (detox in short) is the physiological removal of toxic substances from human body, which is mainly carried out by the liver. 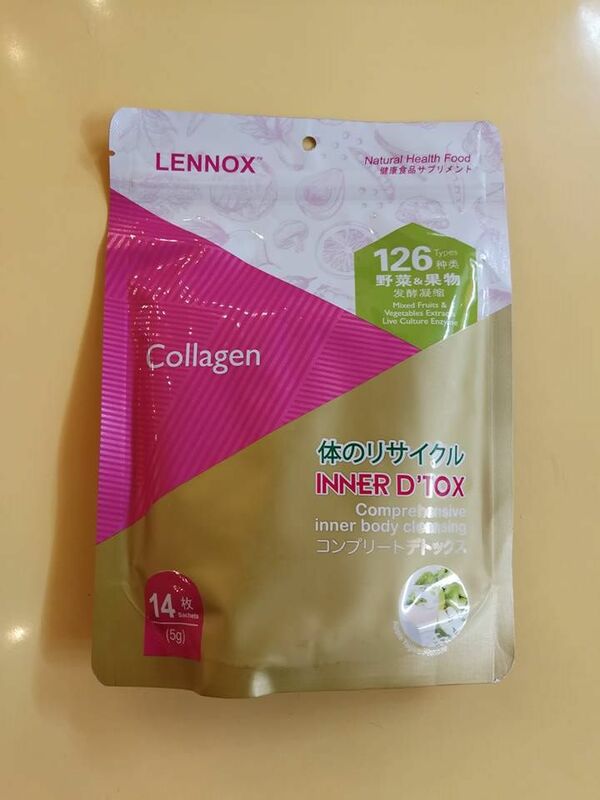 In fact, it is very important to detox our body for a healthy and active lifestyle. Moreover, I have not been having a good bowel movement ever since my recent trip to Vietnam. LENNOX Inner D'Tox reached me just in time for me to start my detox journey. Made from 126 mixed fruits and vegetables extracts and live culture enzyme, it is the simplest way to have a comprehensive inner body cleansing. A good enzyme supplements is essential for healthy body because they are proteins that taking care chemical balancing in our body. However, the enzymes in our body decline naturally by age. When one reach 30 year-old the natural body enzyme will be decreased by 50%. Without enzymes, our body metabolism rate and cells renewal will be affected. 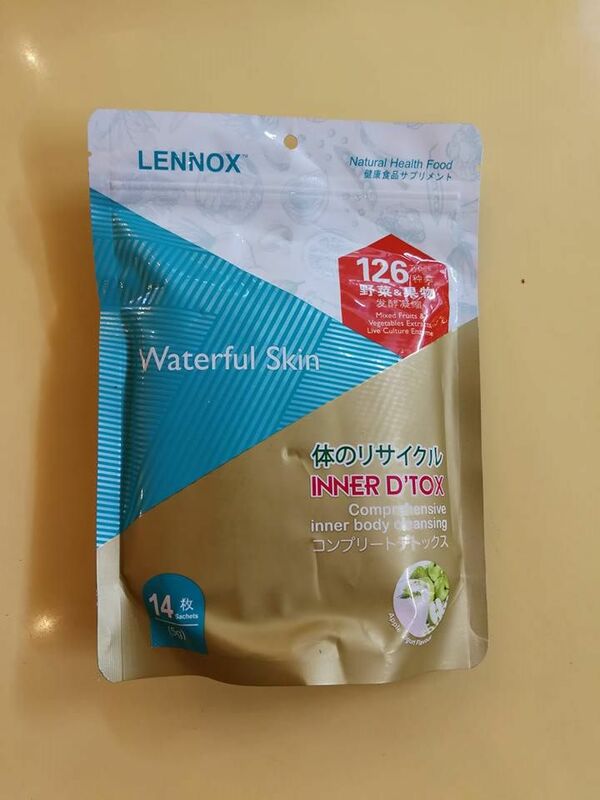 There are 4 different types of LENNOX Inner D'Tox with different functions for each. Contain 3 types of naturally sourced probiotics strains plus and prebiotics, it helps enhance the digestive system. Enriched with naturally sourced rice ceramide to help plumps the skin and hold in moisture. 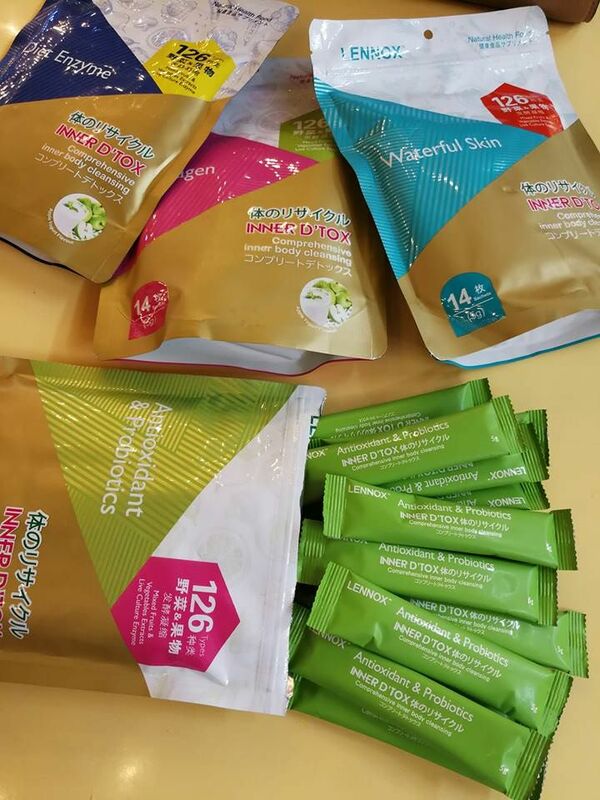 Packed with 3000mg of Aqueous Marine Collage to help us maintain better and brighter skin radiance. 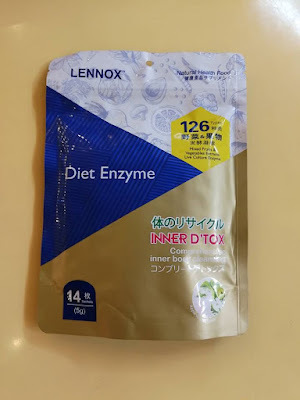 The diet enzyme promotes good metabolism rate and enhance our immune system. 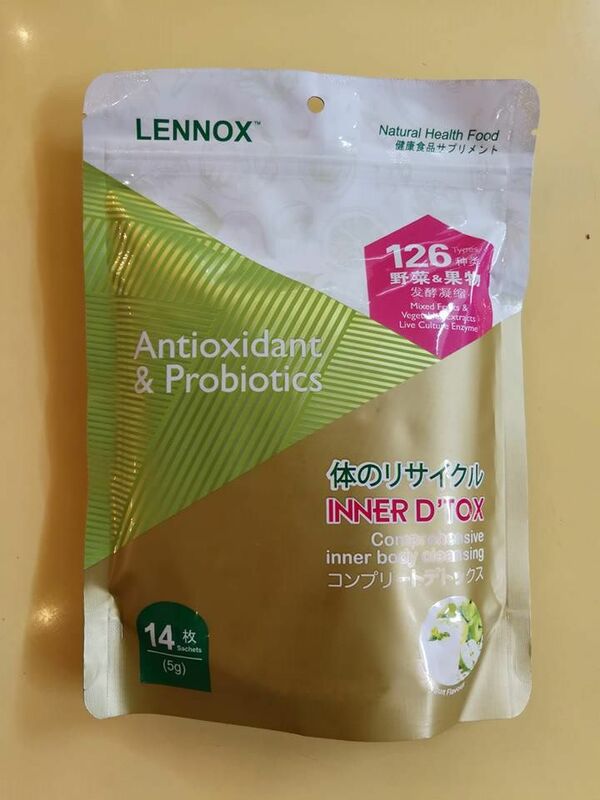 We like that LENNOX Inner D'Tox comes in tasty apple yogurt flavour. 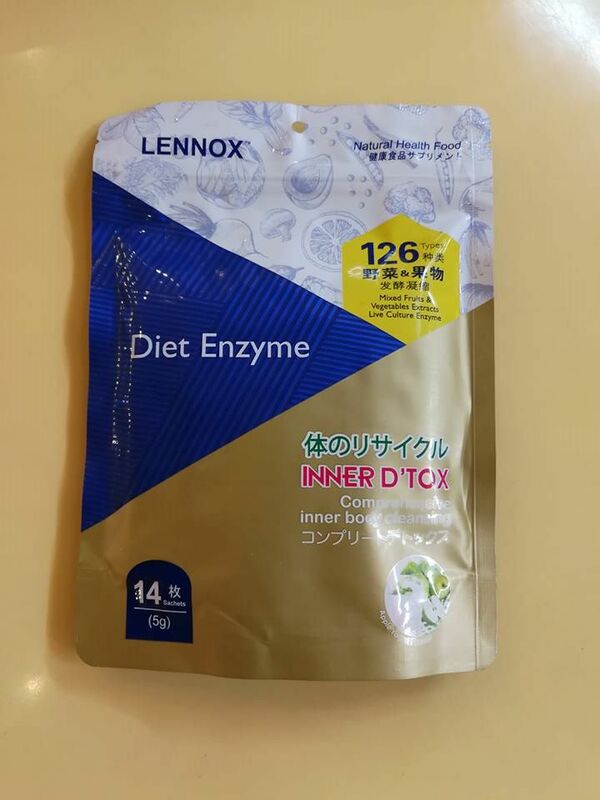 Each pack of LENNOX Inner D'Tox has 14 sachets of 5g each. 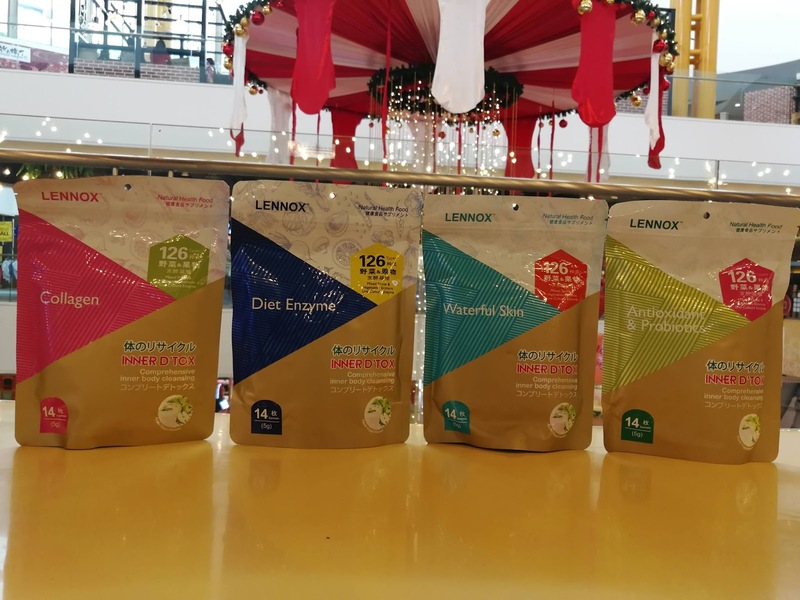 It is easy to consume, just consume 1 to 2 sachet daily and you will see the result soon. I like that it comes in small sachets where I can bring it along wherever I go especially during travel when I tend to have constipation issue more. 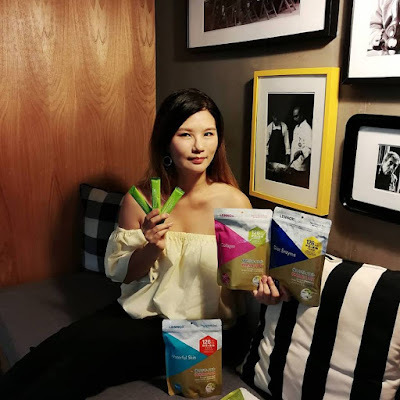 I am amazed to find out that this small sachet give me 6 portions of fresh vegetables/fruits which is the active enzymes that our body need. It is suggested to drink more water when consume LENNOX Inner D'Tox, at least 8 glasses of water a day to improve effectiveness. Let's get towards a healthier lifestyle with LENNOX Inner D'Tox today.